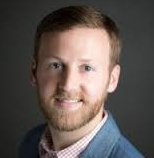 Profile Response: Chris Cochran, Bentonville AR | How Will We Live Tomorrow? 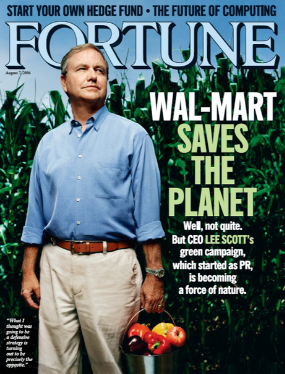 Wal-Mart entered the sustainability space, as techno-geeks like to say, in 2006. The decision was prompted by PR needs in response to bed press and lawsuits about their business and human resource practices. The company realized that it wasn’t just good press, it was good business. Last year Wal-Mart saved over $2 million through their recycling initiatives. Chris’ sustainability group is involved in the full spectrum of Wal-Mart decisions, from production to transportation to bricks and mortar stores to online growth. Chris is particularly interested in agriculture. “Agriculture is the root of economic development. Economic development is the root of all international relationships.” A recent project centered around erecting tents over grape fields in the Sonoran desert. Producers increased their yield and reduced water. “I work in sustainability. How will we feed nine billion people in 2050? We are already using 1.5 times the earth’s resources. And now people aren’t content with grain, they want milk and meat. Today, there are 800 million people who are undernourished. The inequality will create even more undernourished people. This entry was posted in Responses and tagged Chris Cochran, sustainability, Wal-Mart, Wal-Mart green. Bookmark the permalink.